Early next morning, we woke up ready to tackle the Transfăgărăşan yet again. I’ve already mentioned in Part 1 that Top Gear did an episode on this magnificent winding road. Built between 1970 and 1974 mainly by military forces with the aid of approximately 6000 tonnes of dynamite, it stretches 90 km across the Fagaras mountain range. 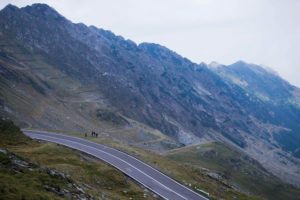 We drove back on the Transfăgărăşan all the way to Bâlea Lac. The weather was cool and kept getting colder as we were approaching the summit. Mist was rising from across the valley, but it quickly dissipated due to the sunshine making it’s way through the clouds. Reaching the top, we quickly realised we were a bit late for the party. Several brides and grooms were queuing up around the lake for photographs, thus making the possibility of a landscape shot quite slim. Luckily, even though it was quite cold outside, there was no wind to intensify it, so having a hoodie made it quite comfortable to wait around (with Cristi being the exception, who was in a t-shirt). 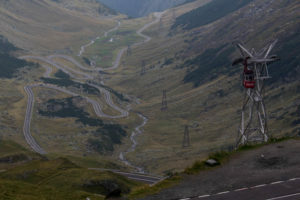 We went to take some photos of the Transfăgărăşan road as it slithered down and away into the horizon. One good photo spot is to the right of the glass viewing point, since it offers a great panorama of the entire valley. After plenty of photos we stopped at one of the stalls for an oversized crepe with blueberry jam. 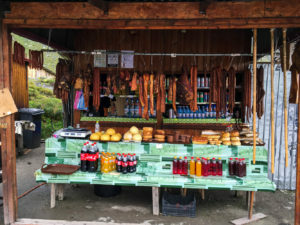 There aren’t many stalls here, but they have a good diversity of products, ranging from smoked meat and sausage, cheese rolls to homemade wine and tuica (Romanian strong alcoholic drink, a sort of plum brandy). Although I cannot attest to the quality of the brandy found here, make sure that you try this firewater at some point while you’re in Romania. One thing to keep in mind though: in Romania there is zero tolerance policy when it comes to drinking and driving, so make sure you’re not the designated driver. Also, keep a chaser close by – did I mention that it is strong? After having one more look across the lake, we started our way back. Halfway down on the road we had to stop, since a sheep herd was crossing the road. 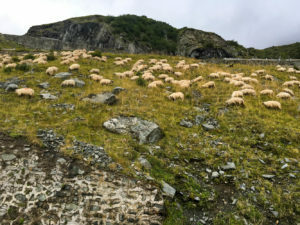 The herd did not take long, after which we went on our way, descending on the north side of the mountains, leaving the Transfăgărăşan behind. 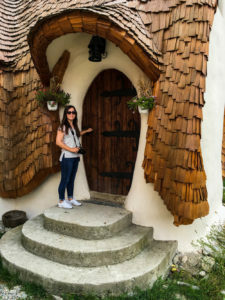 Our next stop was not something that is on many travelers list when they think about Romania, but it definitely should be. 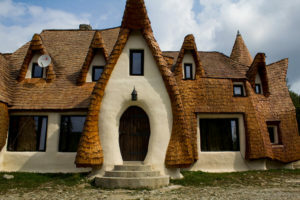 Castelul de Lut Valea Zânelor, which translates to Clay Castle of the Valley of Fairies, is a soon-to-be hotel, located sout of Porumbacu de Sus, Sibiu county. One thing to note is that a small part of the road is unpaved. If you’ve seen our previous post, when you hear of a castle in Romania you think of a medieval massive building high on top of a crag with high walls and towers. You will be pleasantly surprised to know that this is not that. There are no square towers and it is not on top of a hill, ready to withstand an army. What it does have is an amazing, fairytale atmosphere. The building itself looks as if it’s taken out of one of Grimm’s stories. Each entrance has a rounded door, almost hobbit-like. It has two small towers at both ends, which albeit not tall, enhance the fairy tale architecture of the building. Behind the building there is a small meadow with a few trees. 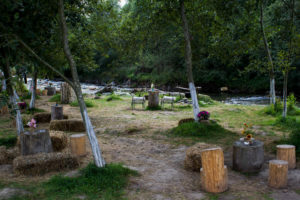 Add to that the sound of the stream that is flowing past the meadow, and the sound of birds in the trees and you found the perfect place for a nice, relaxing day. We could have easily stayed for the rest of the day, but we headed onwards, making a mental note to return once the hotel was open. Our next stop was Sibiu. 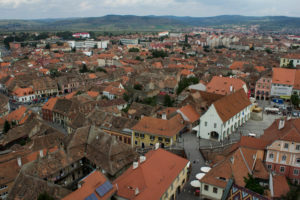 Sibiu was built by German settlers in Transylvania in the early 1200s. In 2007 it was chosen as the European capital of culture and in 2008 it was ranked by Forbes as “Europe’s 8th-most idyllic place to live”. We went for a walk around the city centre on the paved streets, admiring the old houses that seemed to have eyes instead of windows, crossed the Bridge of Lies (an old pedestrian bridge connecting the two parts of the small square) and climbed the tower of the Lutheran Cathedral for a great view of the entire city. For lunch we chose, again based on Tripadvisor, a restaurant called “Crama Sibiul Vechi”. 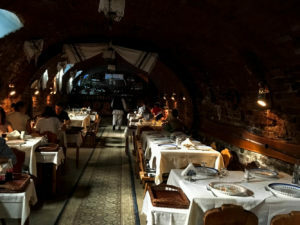 The place itself was not big, tucked away in a cellar, but you can expect great food, rustic atmosphere and waiters dressed in traditional Romanian clothing. Ready to hit the road again, we continued onwards to Corvin Castle but this is a story for another time. Wow! This place look amazing. First the lake and the road, and then onto a fairytale castle and finally Sibiu, which looks to me like it is straight out of a book. I have never been to Europe, all I have seen is what I see in media (TV, Instagram) so it still all looks a little unreal to me… does that make sense? I can’t wait until I have the chance to explore places like this. I have pinned this for my future visit! Thank you Kelly. Unfortunately there are countries in Europe that are not so visited by tourists, Romania being one of them. I have been just in Europe so far and I understand your point. I hope you will visit Europe soon, you will fall in love with it for sure. Loved this post! Clay Castle of the Valley of Fairies looks like a real life fairytale! 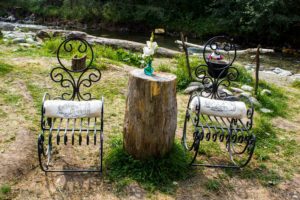 Never heard of this place before: Romania definitely has some hidden gems! Thank you Anna. Clay Castle is quite new and looks like something unreal, I cannot wait to see the final version of it. Romania is indeed a place worth visiting. 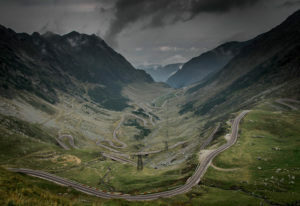 Of the sights that I missed in Romania, Transfăgărăşan has to one of the ones I’m most disappointed in not seeing. The valley looks epic, particularly with the highway weaving down it. I only recently learnt of the Clay Castles and it does seem like a cute place, probably great for families. 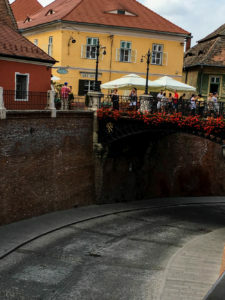 Sibiu was one of my favourite cities in Romania, such a gentle place and some really amazing architecture. The view from the tower was great. Thank you David, I am glad you visited Romania. 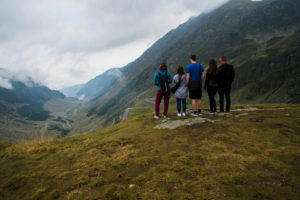 Transfagarasan is a really nice road to drive on, the landscape from the lake is really impressive and I am glad I had it on my list during this road trip. 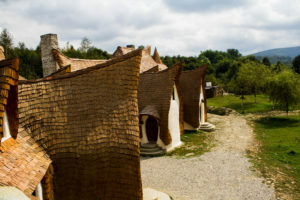 Clay Castle is a new concept in Romania and I am looking forward to see how the hotel will look once is finished. 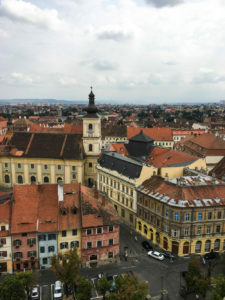 I was impressed by Sibiu as well even if we spent just a few hours there but it’s definitely on our list of places to revisit. Wow! The valley of fairies looks so pretty. Loved the restaurant in the cellar. Here’s a strange question? Are the sheep friendly? They look so cute. Want to give them a hug. Thanks Siddharth and Shrutti, the valley impressed us too as is something really new and unique in Romania. As per your question, the sheep are really friendly animals that can be found mostly in rural areas. Thanks Angie. Due to the weather, our pictures are grey and a bit dramatic but in reality the landscape was stunning. 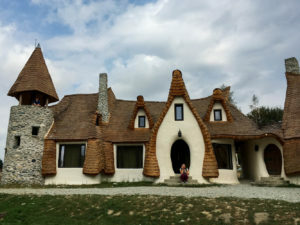 The Clay Castle is something unique in Romania and ever if it’s not opened, people go to visit just because of its unusual shape. I would definitely try it once is opened. It’s strange (in a good way) how different people can have same itineraries or pictures with the same place. Thank you Patrick and Cecile. 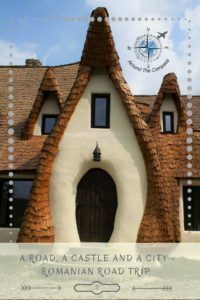 The Clay Castle is unusual for Romania but it has become a travel destination for many tourists due to its fairy tale aspect. So jealous! I always dreamt about driving on that road, still on the bucketlist though! Great post, really inspiring! Thank you. If you decide to tick this from your bucket list, the road will always be there as long as you don’t visit during the winter when is close. I love a good road trip and Romania looks epic. Could certainly imagine myself driving along the hilly bends and twisty roads. Have added this to my list of future road trips. Romania just seems very intriguing. The castle looks like it came right out of a book so I see why it’s becoming a popular tourist destination. 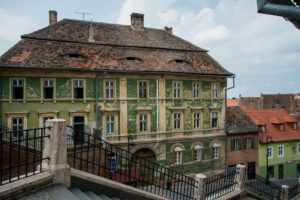 The town of Sibiu looks like a great place to explore with lots of history and great architecture. 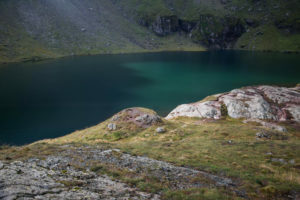 From your great pictures, it looks like I could do some extensive hiking in Romania too! These are the kinds of posts I love! The places are unique and unexplored. I can’t wait to go and check all of it out myself! That road built by soldiers is awesome! It looks unreal! And the castle that’s not even looking like a castle, but something out of a fairytale is just wow! I looked at the photos and was thinking, does this place actually exist or is it a movie set?! HA! 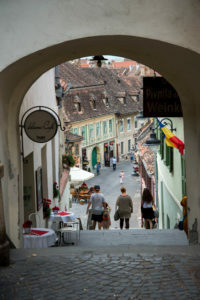 Sibiu reminds me of Tallinn a lot and on one of your photos on Instagram, it felt like it was taken in London! I’ll be pinning this for the future! Thanks for sharing guys! What a curious place this Clay Castle of the Valley of Fairies. I love it. That Clay Castle, tho! I can definitely imagine faeries playing about, and would love to stay there! 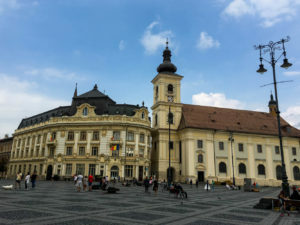 We’ve heard a lot about Sibiu from Romanian acquaintances, and have wanted to visit for quite a while. Thanks for sharing your adventure – it looks fantastic! Wow! This seems like an awesome road trip! Those places are truly unique and breathtaking!